this is a favourite dish of keralians and served with steamed rice.really tasty. Wash the fish pieces in running water and drain.keep aside. Grind together tomatoes,onions,chillies,garlic cloves and coconut to make a fine paste. Heat oil in a kadai,add the curry leaves. When it will start cracking add the grinded paste . 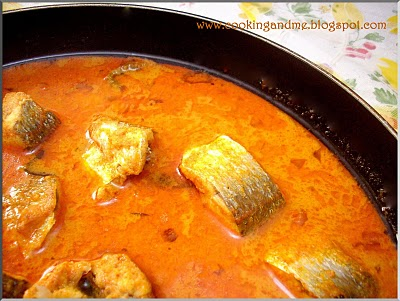 Cook it for 5-10 mins and add the fish pieces. Add 1 cup water and salt, bring it to boil.cook for another 10 mins. Hi, Do you put curry leaves as well?